Lightweight classic chair. Classic styling with ergonomic arm rests shaped for comfort. 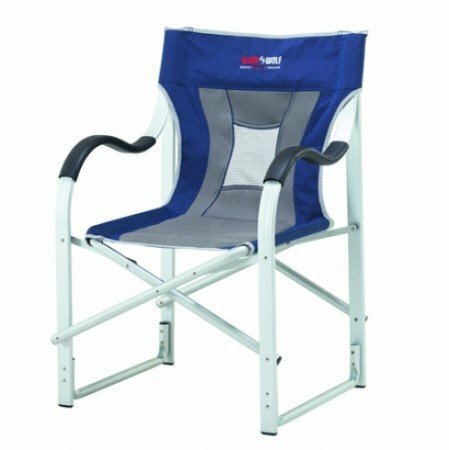 Lightweight aluminium frame and two seat styles, khaki mesh or blue padded. Alloy frame.